A few weeks ago I decided that with a full time job that take 55-60 hours a week of my time, A wife and 3 kids (one of them is only 3 weeks old), and a 1944 Matador. My life needed another challenge. 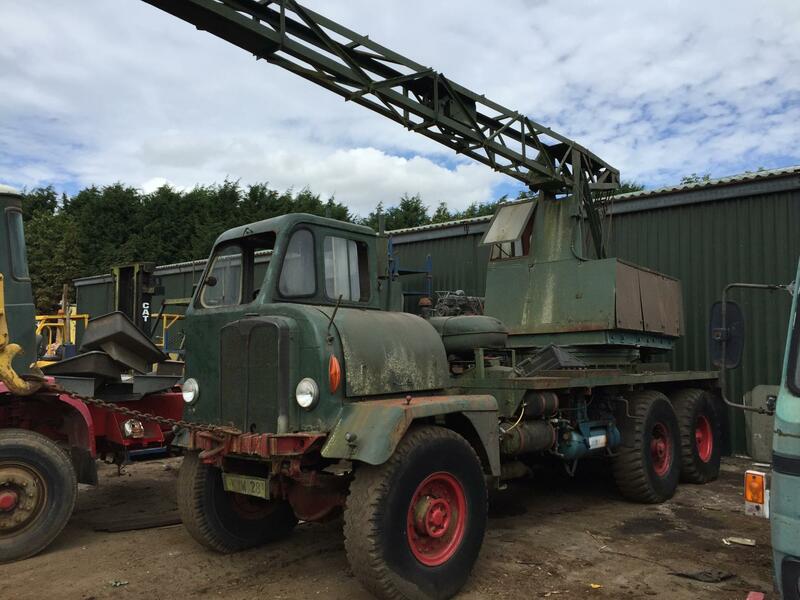 This has come in the form of an AEC O854 Coles airfield crane. I have alway promised myself that I would one day own one, So when one came up for sale I just had to make an offer on it. Unfortunately, this offer was accepted and now I'm the very proud owner of this. The Crane power unit is also quite interesting. I understand that when these were built they were fitted with Ford V8 petrol engines. My one has had the front half of a Fordson Major tractor fitted to it. This is actually a good modification as it was popular to replace the V8 with the Ford 4D. I don’t really like the tractor radiator grill and bonnet much, so I will just fabricate a new enclosure that looks the part around the crane engine. It has been fitted very badly with air spring brakes. As I understand, all AEC O854s were built with vacuum over hydraulic brakes. So the chassis were only equipped with as small tyre inflator. Mine has had a diesel powered workshop compressor slung under the crane bed. 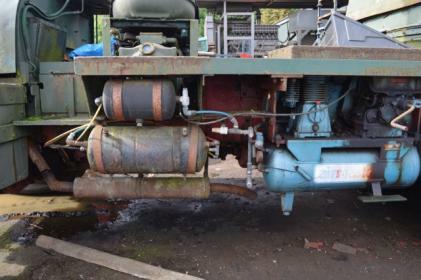 I am not really sure what I'm going to do about this as I think it will be very difficult to find all the parts to refit the vac over hydraulic system, so I am thinking of just fitting the standard air AEC Matador front end brake system and the Militant system on the rear axles. I would also be happier with a full air system as my personal view is that it’s a safer brake system. I am very interest to hear other peoples thoughts on this as the brake system needs to be as safe as possible as there are some big hills around Stroud where I live. Dose anyone have experience of this conversion ? To date, I have got the main engine running and it has some oil pressure and sound nice, I will be changing the oil and sorting out some water leaks if i get some time this week. I have got the compressor going and I have managed to free off the Crane engine. I have ordered some parts that are missing from the crane engine and should be able to try and start that next week. 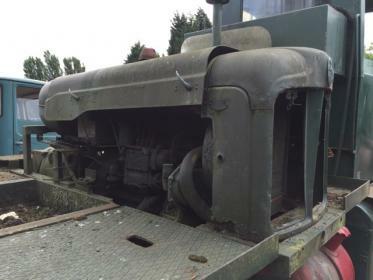 I may have found a replacement 2nd axle diff as someone on the AEC Facebook page has told me that he has a rear O854 chassis in his yard. the output shaft has snapped off on the diff and I can only guess that the reason for this is the one of the back tyres is 13:50 x 20 compared with the other 3 that are 14:00x20. 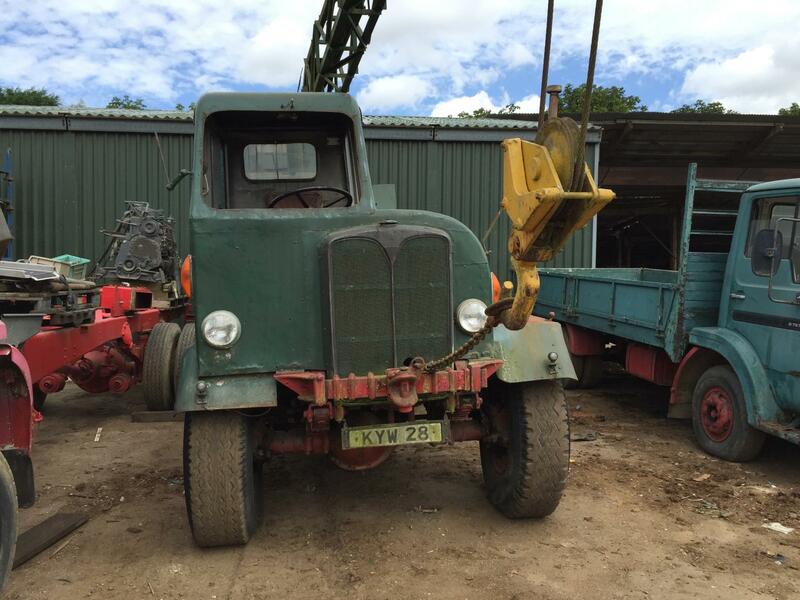 So if you happen to know of any of these Coles Cranes or O854s sat about somewhere that could provide me with some parts or happen to have a reasonably priced Matador with restorable cab that you can sell me then please get in contact with me. I am also looking for any manuals for the Coles Crane. I have a O854 and Matador manual already. As for the cranes history. So far I have got the logbook and the old logbook for registration number KYW 28. This states the chassis number as O854 1352. It was first registered 10-05-1950 to The Ministry of Supply. Its second registered keeper was The Department of Atomic Energy but i can't read the date. 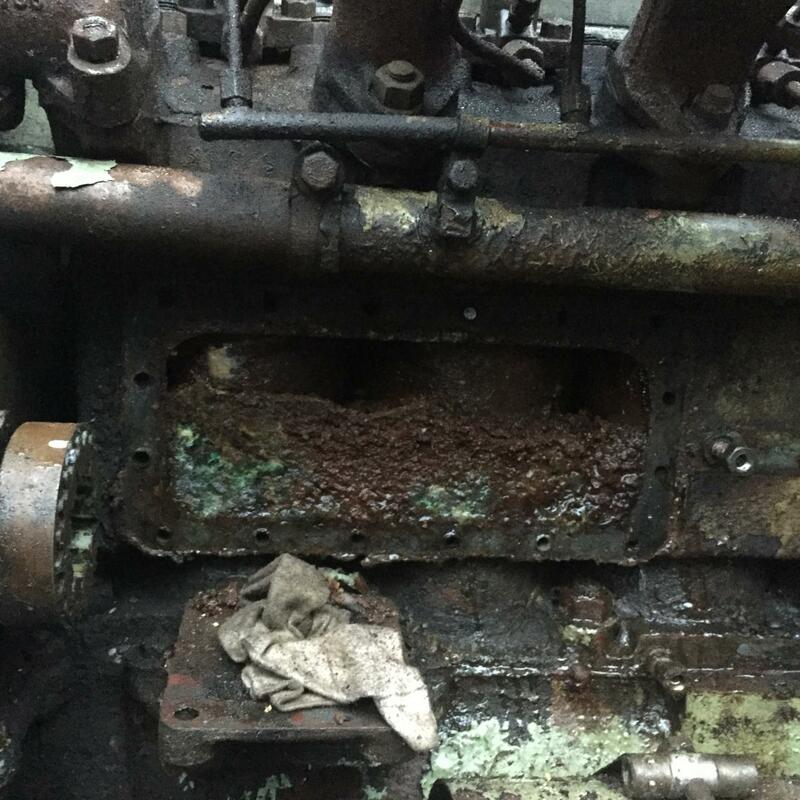 I am hoping that its wartime and was demobbed in 1950 and i will be applying for a copy of its build sheet as soon as i can get around to it. the last tax disc in the cab dates for October 1971. 44 years ago. Thanks Wally, thats great. Please let me know if you find out any more. Well done Dan, someone had to look after this old girl - fantastic project. Good luck with it all. Well I managed a couple of hours on the old girl today, I managed to change the engine oil and changed the oil in the injection pump and the governor. I had some trouble trying to figure out how much oil to put in the governor. Its a CAV type pump and the illustration in both of my manuals says that the plug at the bottom of the governor body is the drain and level plug. as its at the bottom it can't possibly be a level plug. I put a quarter of a pint of oil in as thats about what came out. can anyone give me the oil capacity of a CAV governor? I also had a look at the crane generator as this is the one item I was a little worried about. But on removing the brush box cover I was overjoyed as it looks like it has just been overhauled.. So I got a load of Fordson tractor part in the post today and I may be able to try and start the crane engine tomorrow. Its that small bolt half way back up the side. Thanks Ploughman, That looks a little bit too much like my day job!!! I am very used to topping up the Motac on Class 31s and Class 56s. 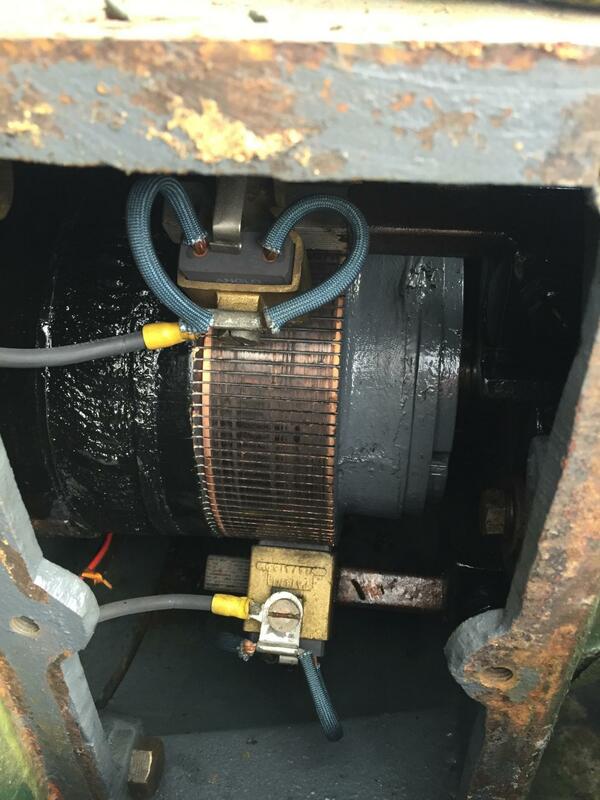 Thats why the Cole appeals so much to me as they are just a load of DC motors and generators. The governor housing takes less than a quarter of a pint of oil (the plug at the end(or sides, depending on age/model) is the level). The cam box takes about half a pint. Good luck, looking forward to seeing the restoration. I managed to get the crane engine running today. It was a little stuck to start with, but soon freed off. I pulled the injectors to get the water out and it fired straight up and runs lovely. If i can find the time I may have the crane working by the end of the week. Well I have been getting on steadily with the old girl. I usually manage a couple of hours a day. So last time i posted i had just got the Ford d4 crane engine running. I had operated the crane controls a few times to see if anything happen and nothing had. I was not really keen to try to do anything until I had some sort of manual and i knew how the crane worked. 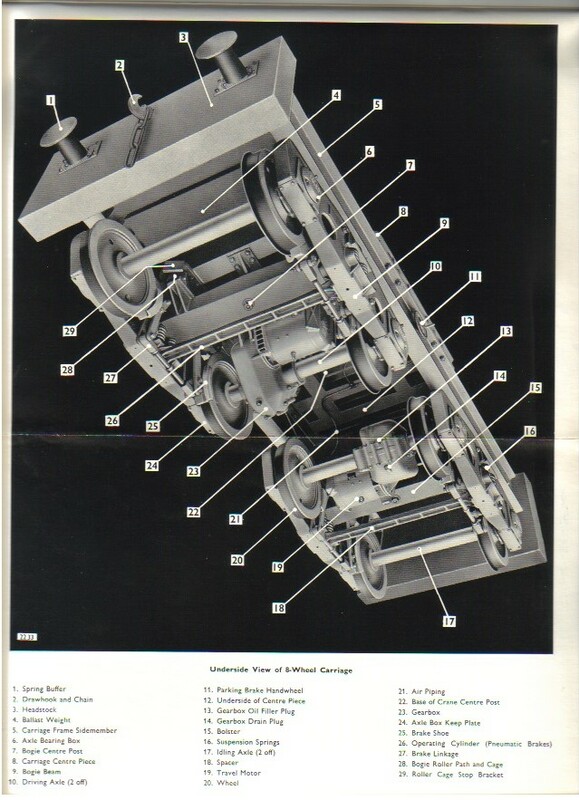 After searching the internet for hours, i found that the Imperial war museum has a user manual for the AEC O854/Coles crane. So I sent them a request for a copy (no response after 2 months). 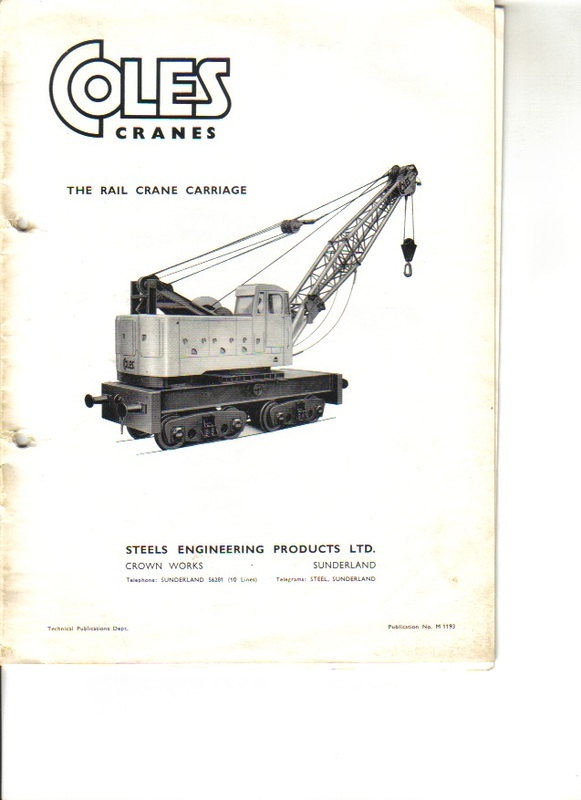 I had also asked as many people as i could for any diesel electric Cole crane manual. 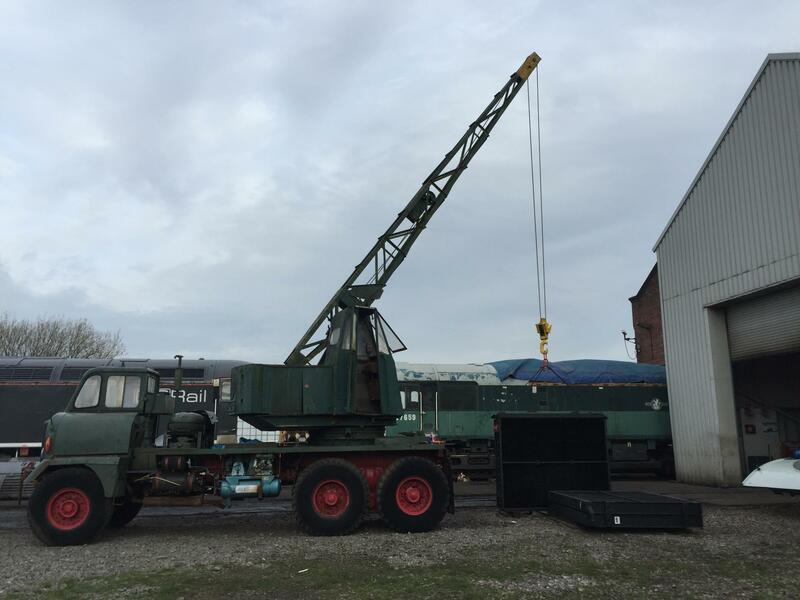 Luckily a friend of mine who volunteers at the East Lancs Railway came up trumps as they have a 1950s Coles 4 wheel yard crane and they had a manual I could borrow. Although this was not the correct manual for my crane it gave me a basic understand of how the Coles Diesel Electric crane worked. 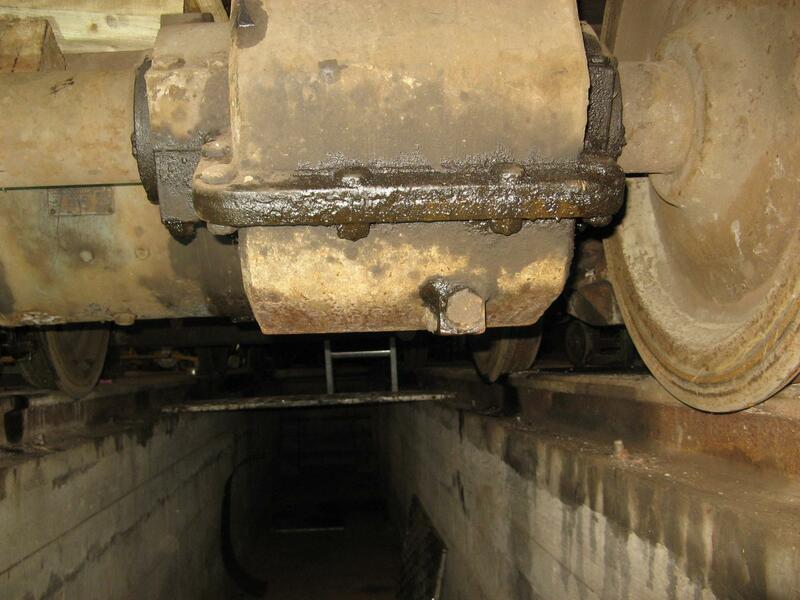 There are 3 large electric motors (jib, hoist and slew), mounted on each motor is a brake drum with two brake shoes. These brakes are held on with a large spring. 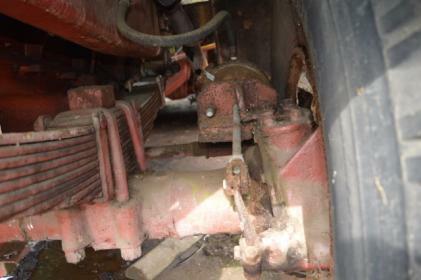 Also fitted to the brake shoes is a large solenoid, this is wired in series with the motor. As the power to the motor is increased the current passing through the brake solenoid and release the brake. 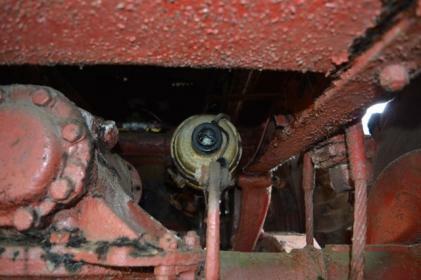 The instructions for setting up the brake told me that the motors should not start to turn until the engine revs are increased well above idol. So with all this information and a friend on the engine accelerator I tried the crane again with my friend raising the engine speed whilst I operated the controls and every worked, I only moved the Jib up and down a little and tried the main winch and slew just to test they work. A crane is a very useful thing, but it has to be safe. So I decided to concentrate on the crane. I inspected all the motors and stripped all the brakes apart, cleaned and tested the brake solenoids, set them up according to the manual and reassemble it all. 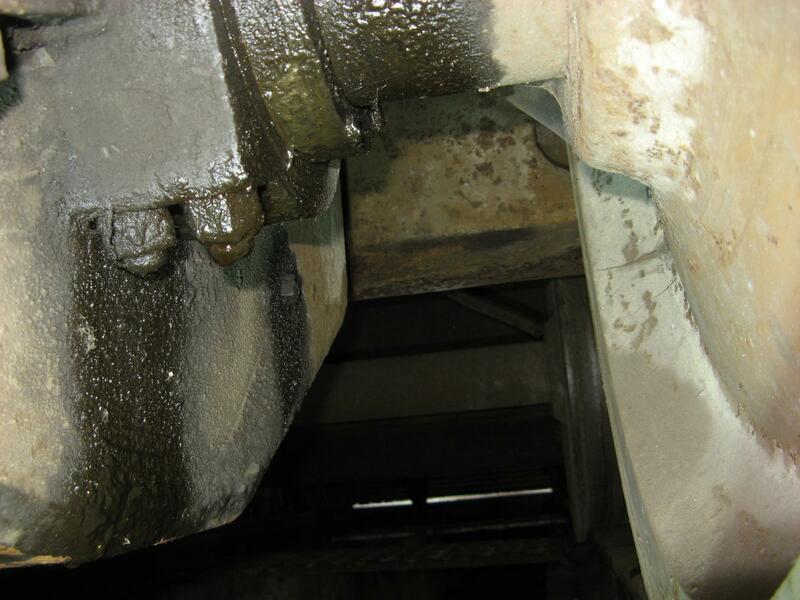 I inspected all the carden shafts, pullies, electrical componants, mounting bolts, structure and all the gearboxes. Work then turned to the throttle. This was a hydraulic system with a master cylinder mounted on the crane with the pipe running down the center of the king pin to a swivel arrangement and then onto a slave cylinder mounted on top of the crane engine. The Master cylinder was seized, the swivel looked beyond help and the slave cylinder was missing. I went on line and after a few hours of searching discovered that the master cylinder was from a Morris Minor brake system. So I ordered a repair kit for that. I also found a modern replacement for the swivel, but I still had no idea of what to use for a slave cylinder. After hours of research I discovered that most slave cylinder are 7/8” so I decided to just try an old land Rover clutch slave cylinder I had knocking about. After a couple of hours with some steel, an angle grinder and a mig welder the slave cylinder was fitter. The master cylinder was overhauled and the new swivel arrangement was fitted and the system bled up. I now had a working throttle on the crane. I gave the entire crane a grease and rechecked everything then gave it a go. It all worked first time. I noticed straight away that the main lift cable was very rusty where it had been sat on the top of the jib and was not at all happy with the state it was in. Luckily Birmingham still has a few specialist lifting supply companies and so after just two phone calls, I had a price for a new cable. The old cable was removed to get the exact length and a new main lift cable was ordered. I also took the time to give the jib hoisting cable a full inspection, but that looks to be in very good condition. New main cable being fitted. After fitting the new cable it was time to try and lift something. I started small with a 1/3rd of a ton load, this was lifted without any issue so I tried a 3 ¼ ton load and again this was lifted with no problem at all. In its day this crane was rated at SWL of 7 ton. But I don’t fancy ever trying to lift that sort of weight. I will probably only ever lift a couple of ton with it. However, I really want to make sure it was safe so I tried lifting 4 ton at its full reach. It lifted it and slewed and did everything I asked of it. I also left the 4 ton load hanging off it for a weekend to just test it over time. All was still in place when I returned to work on Monday. I fully tested all the winch brakes with the 4 ton load and adjusted them a little. First test lift of 1/3 of a ton. I have now done my first real lift with the crane and I am really amazed at how refined it seems to be for a crane built 71 years ago. It is almost failsafe in operation although it is quite slow, but very smooth and nice to use. Amazing really. 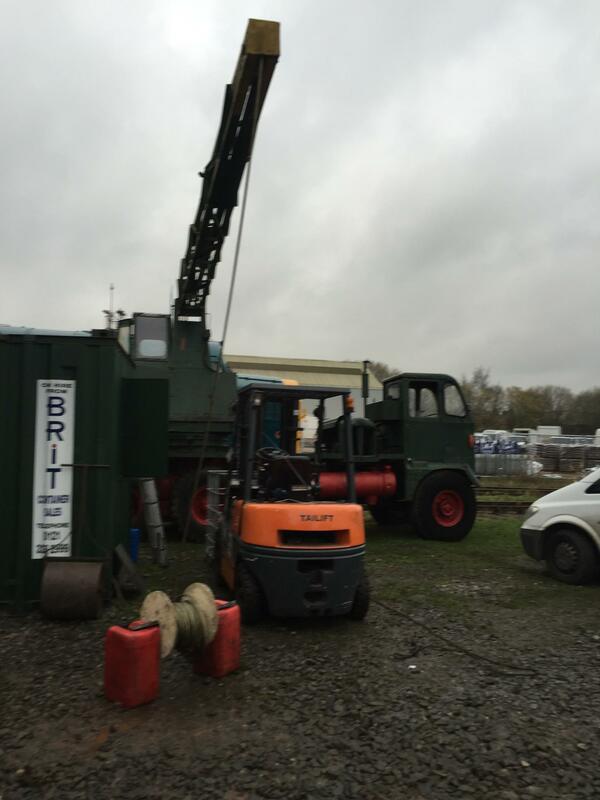 Lifting class 50 radiators of 1 1/4 ton. I would like to say that the lifting I have done was all on a none commercial basis. It was a private lift for a friend on his private locomotive. No money changed hands and it was nothing at all to do with the company I work for. Class 50 rads, fitted and roof going back on, with rad fan to be fitted later. So with the crane operational I turned my attention to fixing the water leaks on the AEC 7.7. all hoses were renewed and the injection pump was removed to allow me to get the side covers off the engine. Both of these had gone porus so needed replacing. When I took the covers off the silt and ****e in the engine was just incredible. After a lot of cleaning the 7.7 was back together and now has antifreeze in it. I will keep you all posted on how i am getting on. I am still on the look out for a cheap chassis cab Matador with a good cab (aren't we all) and I think i may have fount a set of rear axles. I think the mug of tea is to balance the load . These cranes have never had the following that they deserve. It is great that you are throwing so much enthusiasm into it and that you have such a good excuse to use it. They really are quite good cranes if used properly. That must severely limit the lifting capacity at anything other than over the rear or front of the vehicle. WW2 erecting Bailey Bridges etc. they could not be on messing with blocking out , they did have "lift & carry" duties over side. Do you have any detail of the Wylie system? We have what we presume is a Wylie SLI fitted on our 15t Coles Rail Crane. You seem to have been bitten by the same AEC bug that got me! Nice project, and useful too. BTW. I do quite like the quirky side mounted Fordson. There's a company down this way who could supply you a new front for it. I should still have B&A + early Wylie , will have a look in back of my desk. Even 40 years ago they were not easy to come by. I have a manual for the old 4 wheeled BR yard crane. I could copy the section from that if you want it. No outriggers what so ever. there are also no springs on the rear axles (will bounce a bit on the road). The only danger would be a tyre blow out on a side lift. This crane was rated at 7 ton, I would never dream of tying to lift that sort of weight. I have had 4 ton at full reach over the side and it was fine and seemed very stable. That was just to test for my piece of mind, it is not something i would ever do in anger. The other danger with having no outriggers is that the crane is only as level as the ground its parked on. As long as you are aware and know your limits then this should not really be a problem. Its like all machinery, Never get complacent and keep your whits about you. If in doubt, don't do it. This is my 6th AEC. I have owed 1 Mandator, 2 Mammoth Majors, a MK3 Militant and still have a Matador and this. So yes I have the bug. Your tanker is gorgeous, what a find. Thanks for the offer but we do have the manual for our crane. Just the Wylie section is a bit sparse. 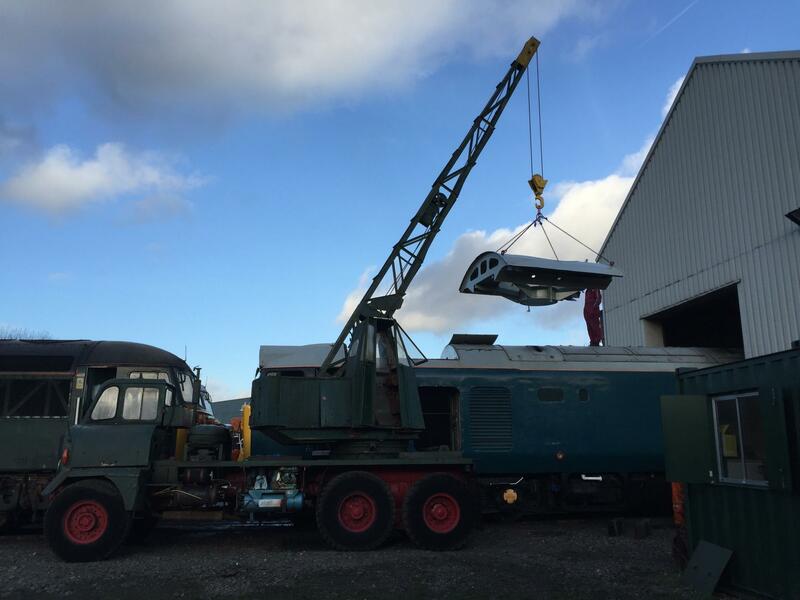 It is an Atlantis 15t capacity with 2 Four wheeled bogie carriage. 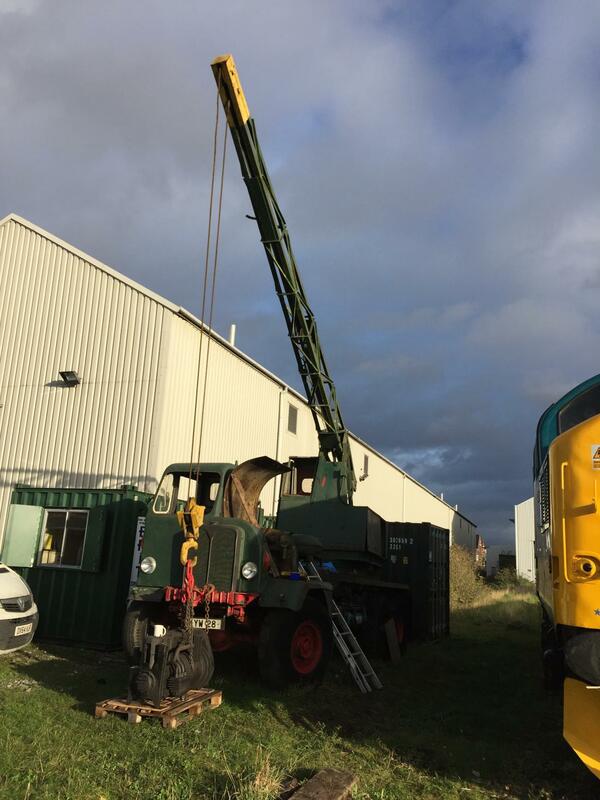 We have just recently removed the jib and sent it away for specialist weld repairs. The main engine on it seems to be a Fordson as well. However in our case this also provides the power for all movements of the crane including travel.